Apogee is proud to announce the free upgrade of in-line cable connectors to most of our bare-lead sensors starting March 15, 2018. 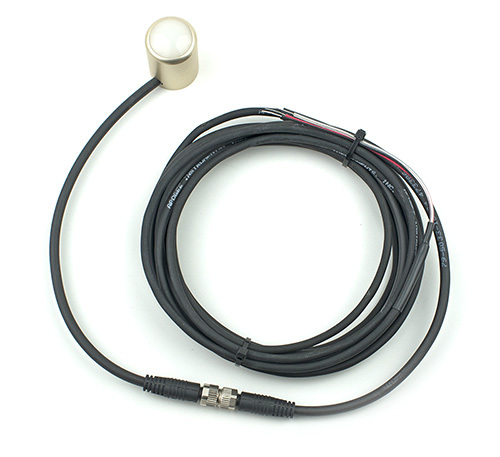 These sensors still come with the full length of cable you ordered terminating in pig-tail leads for connecting to a data logger, but now have an IP68-rated 316 stainless-steel M8 connector (marine grade) located in the cable 25 cm from the sensor head. 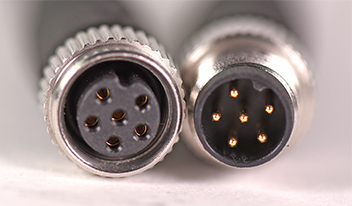 This connector near the head greatly simplifies the job of removing the sensor for calibration, replacement, or maintenance, and will reduce our lead-times for shipment. After working with several connector manufacturers for over three years, our extensive testing has shown that these connectors are extremely durable, corrosion-resistant, and well-suited for long-term installation in all environmental conditions. Feedback from the field has all been positive and we are very proud and confident to offer them to our customers. Connectors are now the standard offering on all sensors with an “-SS” at the end of the model number and include: pyranometers, quantum sensors, infrared radiometers, pyrgeometers, UV sensors, and some other sensors to be released soon. In the rare case you feel a connector may not be suitable for an application—such as long-term submersion exceeding the IP68 rating (two meters depth for 100 hours)—we encourage you to contact tech support to discuss your options. Important: With the release of connectors, we also changed some of our pig-tail wiring colors for connecting to data loggers. We have updated all of our manuals and have developed a comprehensive wiring guide to be included with each shipment and available online here. Please contact tech support with any questions.